Fernando Alonso has hit out at FOM for the repeated broadcasting of his F1 radio outbursts. Fernando Alonso claims the repeated broadcasting of his Formula 1 team radio has become FOM’s “favourite hobby” following his latest outburst during Hungarian Grand Prix qualifying. The message was broadcast to the world feed, leading Alonso to call out FOM for being “quite annoying” with what they choose to air. “FOM is already quite annoying with my radio, I don’t know what problem they have to put my radio always on, I don’t know what was, let’s say, not normal about that conversation,” Alonso explained. “When the track is getting worse and you cannot improve your lap times, you chat about which tyres to put and if it’s worth doing another run or not. It’s their favourite hobby, so good luck to them. “It looks like they always put my radio messages on air but we were 11th, the rain was coming down harder, so I don’t know how we were ever going to improve or what I was supposed to say,” he added. Alonso ended up 11th on the grid in Budapest after being unable to improve on his lap time once conditions worsened in the closing stages of Q2. 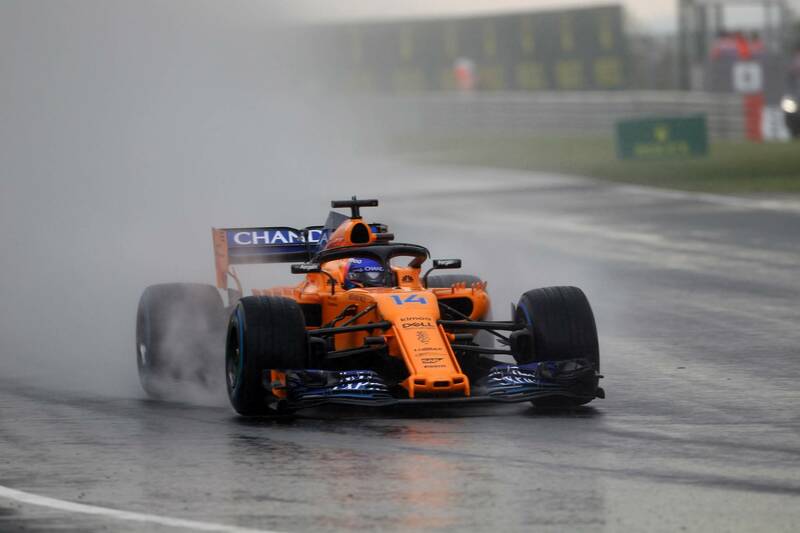 The Spaniard reckons the wet weather “saved” McLaren and enabled him to secure a strong starting position on Sunday, with Alonso confident a points finish could be in store. “It was a lot of fun as everything was changing all the time,” he said. “With a little bit of luck for us came the rain, because in dry conditions we were going to be quite a bit behind. “Q1 was already going to be quite hard, but with the rain we managed to gain quite a few positions and now we’ll be starting really close to the points, so I’m happy. “Basically it was a Saturday where the rain sort of saved us, allowing us a good starting position, and we know qualifying is worth 90 per cent of the final result because here it’s so difficult to overtake, we tend to run like a train.